Are you sick of smoking and ready to revoke your unhealthy habit? You’ve decided to end the love/hate relationship with tobacco? It’s time to quit. But there’s a saboteur voice in your head saying things like, “it’s not going to be easy”, or you’re concerned that like all toxic relationships you that you’ll go back, again and again. You’re not alone, these are quite common concerns. 80% of smokers want to say goodbye to the cigarette #lifestyle. The problem lies in getting over the line & breaking the smoking habit. Breaking habits seem daunting — especially the habitual pattern of a substance that you physically and mentally crave. What are the options? How do other people manage the quit challenge? Cold turkey & a heavy dose of willpower? Nicotine Replacement Therapy? The ‘Easy Way to Stop Smoking’ book by Allen Carr? Alternatively, pharmaceuticals like Varenicline (Champix) or Bupropion (Zyban)? Both of which have a list of side effects as long as your arm! These are some of the options on the table & good luck! I wish you the best, but you’ll more than likely face plenty of setbacks on the quitting journey. Quitting smoking doesn’t have to be a hard slog. Most people come & see me when they’ve tried all those alternatives & that’s fine, but don’t make it hard on yourself, hypnotherapy is a proven strategy, rapid, minimal cravings, cost-effective, safe, no adverse side effects or withdrawal symptoms. Before you start envisioning Svengali or Rasputin characters bending your will to perform strange tasks, who seduces, dominates and exploits the weak-willed…let’s establish the difference between fantasy & reality, between stage hypnosis and clinical hypnotherapy. Hypnosis is both a craft & a science, its been around for tens of thousands of years in every civilisation under different guises. It can be taught & utilised in many ways. Currently, in our society, the general public is under mass hypnosis via the media. In the public domain, it can be learnt & used for positive & negative gains. The two familiar but very different common schools are stage/entertainment & clinical/therapeutic. In the clinical/therapeutic context, hypnosis is about inducing a person into a passive or trance state for the sole purpose of achieving their goal of smoking cessation. Hypnotherapy deviates from the stage hypnosis path in a few crucial ways. In essence, hypnotherapy is a psychological process that is administered by the clinician for specific aims such as, healing, recalibration, repair. Hypnotherapists use hypnosis to re-programme a client’s mind set, emotions & behaviours. Hypnotherapy uses the tool of hypnosis to bypass the conscious mind & to achieve the desired results. If you’re starting to stress at the thought of being in a trance state, have no fear! Adults & children experience multitudes of alternate state & brain wave patterns through every 24-hour cycle spontaneously. In the hypnotic state, you’re fully aware, hearing every word, answering back to the therapist but with one significant difference to your normal waking state! It’s your subconscious or unconscious mind that’s engaged. You’re not under someone else’s control or spell, more a collaborating participant in your process of change. You’re not a victim of mind control. The hypnotherapist is facilitating & guiding the way, engaging the subconscious mind where all your patterns, memories, habits & learning are stored & processed, making the problem-solving process easier & the goal achieving manifest! So how does hypnotherapy help to produce results? Well, it all comes down to the mind, or rather the power of the subconscious mind. Other modalities such as counselling & psychology rely on making changes to the conscious processes. I respect all modalities & respectfully say ‘good luck with that’. A metaphor might be; the hypnotic process bypasses the sergeant (conscious functions) & deals directly with the General (subconscious functions). Why? Because this is where the programs are, delete the old, install the new. Your mind is a complex program and has two functions operating at once, the conscious and the subconscious. The conscious function is the rational executive dealing with abstract thought, problem-solving, logistics etc. The subconscious managing the whole body, a healthy stasis, breathing, cell regeneration, memory, learnings, patterns & so much more. However, the unconscious mind isn’t rational. Often, the conscious and subconscious mind are not working together in sync or towards the same goals, there’s a tug of war going on. The subconscious is continuously striving to deliver success; it does this as a habit, it’s in it’s nature to do so. However, it can’t differentiate between good or bad, so if a person is focusing on their issue, i.e. their smoking habit, then that’s what the subconscious will deliver. Freud’s metaphor to explain the two functions of the mind was an iceberg. The tip of the iceberg is the conscious mind, capable of processing 7 + or – 2 thoughts at any one given time, which leaves the other 90% hidden in the subconscious with its limitless capabilities. Everything you have ever known or experienced is locked away in the subconscious. The subconscious mind doesn’t understand “don’t”, and in theory, our decisions should be easy to stick to. However, I’m sure we all know that new decisions often get discarded & the old patterns & habits fall back into place. So the best way to break unwanted habits is to adjust the subconscious programming. Hypnotherapy is the tool to hack old unwanted patterns, habits & behaviours, replacing them with new, healthy & positive ones. Strategies include direct suggestion, psychotherapy, regression, progression or future pacing, affirmations & much more. For 99.9% of smokers, nicotine addiction is hard to kick at the best of times because of the physical dependence it creates. The withdrawal symptoms act as a roadblock, nicotine is a stimulant, it doesn’t allow your mind or body to relax & smokers get hooked on this ‘upper’, also in the process of smoking various ‘reward’ hormones are secreted like dopamine, endorphin & serotonin. ‘Houston, and we have a problem’. There’s also the minefield of common triggers like the morning coffee cigarette, the while driving cigarette, on the phone, the stressed cigarette, the glass of wine cigarette, the after-dinner cigarette, boredom, loneliness, all those little moments you usually associate with a smoke. This is why Nicotine Replacement Therapy is so often ineffective. NRT addresses the physical addiction aspect. Unfortunately, there’s a whole range of other issues that are not addressed. In the trance state, your mind is significantly more receptive to suggestions of change, making it easier to communicate to that part of the mind that is ready to revoke the deadly habit. A hypnotherapist makes suggestions that literally form new neural pathways This allows you to reframe your subconscious mind and attitudes towards smoking. 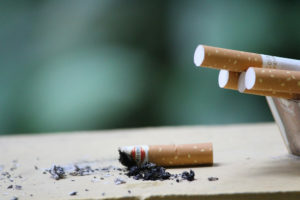 Does hypnotherapy to quit smoking sound like a good idea yet? Here’s some scientific to back it up. A hypnotherapist is able to embed suggestions about smoking that will permanently change your thoughts & feelings enabling you to achieve your goal. At this point using hypnotherapy to quit smoking sounds like a good way to go. But where’s the evidence? Numerous studies over the years provide evidence that supports the facts that hypnotherapy is a more useful treatment for smoking cessation. Let’s cover the top five. Study 3: A 1994 research study examined the effectiveness of hypnotherapy combined with aversion therapy. The study used 93 male & 93 female participants, and after three months almost 90% of both groups abstained from smoking. Study 4: A 2001 study published in the International Journal of Clinical Experimental Hypnosis looked at the effectiveness of hypnosis. 39 of the 43 participant smokers remained smoke-free after 6 months. Essentially all scientific signs point to hypnotherapy being at least twice as effective as other treatment options. Sounds amazing right? But this all comes down to one big BUT. Sounds amazing right? However, this all comes down to one big BUT. Your “readiness” to quit smoking. This is the key factor in the effectiveness of hypnotherapy. The decision has to be 100% for yourself, not because your spouse, children or family wants you to. If your conscious mind isn’t on board with the program, there’s no way that your subconscious is going to commit. The decision to stop smoking is one of the biggest and best decisions anyone can make. It’s a win-win and no one regrets it! Hypnotherapy is a powerful, life-changing tool that works for people who genuinely want to quit smoking, are you ready? So, you’re sick of smoking and all in all, you’re not a fan of your not so healthy habit. You’ve decided to end your love/hate relationship with smoking. It’s quitting time. But it’s not going to be an easy farewell. Like all toxic relationships you’ll feel like going back, again and again. Yet despite these efforts you’ll more than likely face plenty of setbacks on your quitting journey. Quitting smoking is a hard slog. So, don’t make it harder for yourself. This is where hypnotherapy enters the picture. Now before you start envisioning a caped puppet master compelling you to unwittingly perform strange and/or wonderful tasks…let’s establish the difference between hypnosis and hypnotherapy. Hypnosis refers to inducing someone into a passive state or trance state. Hypnosis can be used by anyone who has to training to do it and is usually used for entertainment purposes. Think puppet master. On the flip side, hypnotherapy uses the powers of hypnosis for good, not evil. Time for a little hypnotherapy 101. Hypnotherapy deviates from the hypnosis path in a few important ways. In essence, hypnotherapy is a psychological healing process that is administered by a mental health clinician. Now, if you’re starting to stress at the thought of being under a trance state, have no fear! In hypnotherapy you’re not passive. You’re not in a trance. You’re not under someone else’s control. You’re a participant in the healing process. During hypnotherapy sessions, clients are totally conscious, awake, participating and remembering. You’re not a victim of mind control. Your hypnotherapist is just guiding the way to solving your habitual mind. Making the problem-solving process easier! So how does hypnotherapy actually work to produce results? Well, it all comes down to the mind. Or power of the mind. Or, wait! Power of the subconscious mind. Because your subconscious is not a case of out of sight, out of mind. Your mind is a complex fellow and has two parts operating at once. There’s the conscious mind and the subconscious mind. Both are responsible for dictating your thoughts and behaviour to varying degrees. More often than not, the conscious and subconscious mind are not working towards the same goals. There’s a tug of war game going on in that brain of yours. The most unfair game of tug of war in the history of Mindkind. Let’s put it this way. Your mind is like an iceberg. The tip of the iceberg is the conscious mind. And the gigantic, murky, deep sea bottom is the subconscious mind. Scientists argue that the conscious mind is only responsible for about 10% of our thinking capacity. Which leaves the other 90% hidden in the subconscious. The conscious mind is the part responsible for steering the wheel. You use it to consciously make decisions. It’s the part of your brain that is aware, awake and rationalising. Meanwhile the subconscious is a creature of experience; emotional and habitual. Everything you have ever known or experienced is locked away in the subconscious. The unconscious mind isn’t rational. It leaves that to the conscious mind. The dire consequence of this is that your subconscious accepts any information as good, true, correct. The subconscious mind doesn’t understand “don’t”. And to make things worse, this “don’t” denier is busy governing 90% of your brain. This is what makes it so hard to break bad habits. This is all courtesy of the subconscious mind. It thinks all your behaviour and thought patterns are totally fine as they are. And it won’t change its mind easily, despite the most conscientious efforts from your conscious mind. Now seeing as the subconscious mind is a creature of habit, the best way to break bad habits is to alter your subconscious habits. Hypnotherapists are responsible for giving your subconscious mind a good prodding. 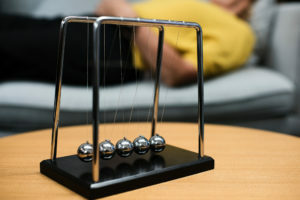 Hypnotherapy sessions use hypnosis to connect your conscious and unconscious mind. It pulls up all those memories, buried emotions, habitual thoughts and behaviours at the root of mental health challenges. For 99.9% of smokers, despite all conscientious and conscious effort, quitting smoking is an absolute effort! Nicotine addiction is a hard habit to kick at the best of times because of the physical addiction it creates. Its withdrawal symptoms act as a roadblock for quitting. Add the subconscious’ habitual mental addiction and Housten, we have a problem. The subconscious eggs you on to have that morning coffee cigarette, the behind the wheel cigarette, the stressed cigarette, the glass of wine cigarette, the after-dinner cigarette. All those little moments you usually associate with a cigarette. This is why Nicotine Replacement Therapy (aka nicotine patches & gum) are, all-in-all, ineffective. NRT addresses the physical addiction aspect. Unfortunately, there’s the whole range of mental addiction and habit that is not dealt with. You need to tackle the mental addiction head on. Aka conscious mind vs subconscious mind. Yet the conscious mind’s 10% odds don’t look so great against the stubborn subconscious’ 90% influencing force. So, if smoking’s been a habit, all signs point to your subconscious being doggedly fond of it. I think we can all agree this is a bit of a disaster. Hypnotherapy takes a top-to-bottom (of the iceberg) approach to quitting smoking. In the trance state your mind is significantly more open to suggestion, making it easier to speak to the part of your mind that really wants to be a smoker. A hypnotherapist is able to provide you with suggestions about smoking that “stick”. This allows you to reframe your subconscious mind and attitudes towards smoking. Your hypnotherapist can give your subconscious a new perception (a dislike) of smoking. They may even associate it with other negative connotations e.g. reframing the smell of cigarette smoke (eww it smells like burning plastic!). At this point using hypnotherapy to quit smoking sounds like a good way to go. But where’s the evidence? A multitude of studies have found evidence that hypnotherapy is a (more than) useful treatment for quitting smoking and plenty of other health related issues. Seeing as we haven’t got all day… let’s just run through five! Essentially all scientific signs point to hypnotherapy being at least 2 times more effective than other treatments. Sounds amazing right? But this all comes down to one big BUT. Your “readiness” to quit smoking can affect the effectiveness of hypnotherapy. What I mean by this is that your decision to quit isn’t a personal desire. Maybe you feel like you should quit, but personally don’t want to, or you’re quitting for someone else. If your conscious mind isn’t on board with the program, there’s no way that your subconscious is going to hop on the quitting smoking train. At the end of the day, hypnotherapy is a powerful, life-changing tool that works for people who truly want to quit smoking. The question is: Are you ready?